Before your child is one year old, you should take your baby to your doctor of optometry for his or her first thorough eye examination. Things that the optometrist will test for include excessive or unequal amounts of nearsightedness, farsightedness, or astigmatism and eye movement ability as well as eye health problems. These problems are not common, but it is important to identify children who have them at this stage. Vision development and eye health problems can be more easily corrected if treatment is begun early. Unless you notice a need, or your doctor of optometry advises you otherwise, your child’s next examination should be around age three, and then again before he or she enters school. 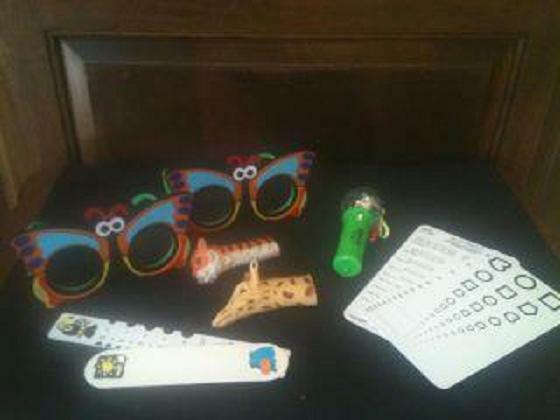 Remember, a child’s vision evaluation is very different from that of adults. Our office is pediatric friendly in which I use techniques specially designed for and adapted to the needs of small children. My team understands the needs of young patients and how to treat them easily, quickly and comfortably.